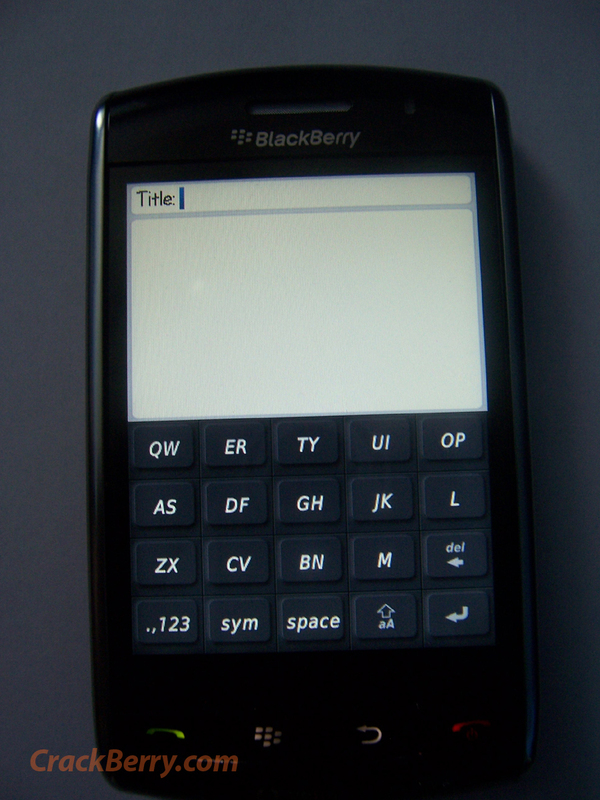 Exclusive: First Live Pics of the BlackBerry Thunder! 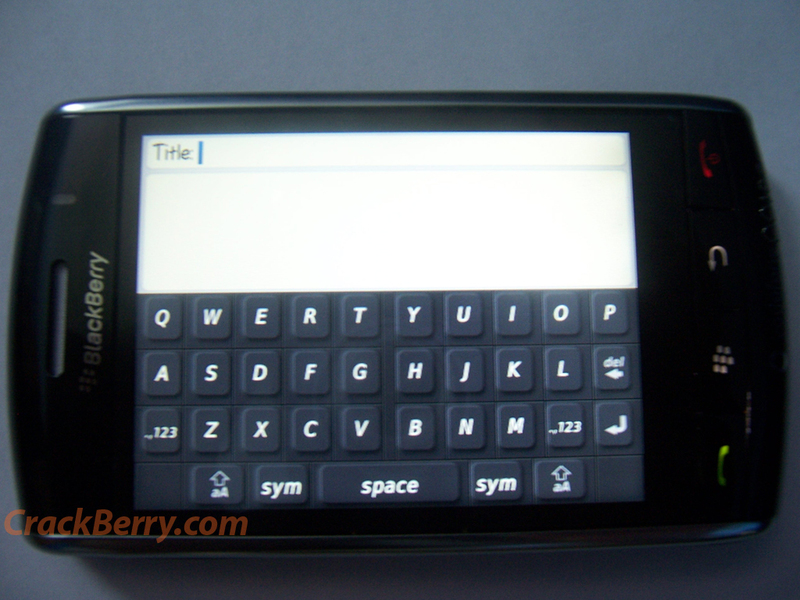 This just in, you are now looking at the first live images of the BlackBerry Thunder and its touchscreen keyboard!! The first pics and screenshots we have seen of the BlackBerry Thunder have been awesome, but it's nice to finally have live hands-on photo evidence that the BlackBerry Thunder is REAL and it's working (of course, only time will tell for sure just how well!). More details and another photo of the BlackBerry Thunder's touchscreen after the jump! These keyboard skins are from a fairly early build of the Thunder's 4.7 OS (the final release keyboard skins are sure to be sexier), but you can easily tell from the images the user-experience RIM is going after here... they want typing on the Thunder to be EASY. That means a lot of screen real estate dedicated to the keyboard, which makes room for big keys that are easy to locate and tap. RIM is famous for the 'BlackBerry Prayer' position users assume when typing messages on their devices and it looks like that won't change with the introduction of the touchscreen Thunder... you should be able to grip the device with both hands and pound out emails with both thumbs blazing. The images also provide further confirmation that the Thunder's operating system will still rely heavily on the BlackBerry menu button for key functions and advanced options vs putting all options on the main screen as the iPhone does. I'd assume hitting the menu key while on the Compose Message screens shown in these images should provide the standard BlackBerry menu options such as Send, Copy/Paste, Save Draft, Check Spelling, Attach file, etc. After using an iPhone 3G for a couple of days, I'll say this: while it's pretty, it's not very efficient at getting stuff done (ahem) lighting-quick. A touchscreen BlackBerry like this may just one-up the iPhone in that department because it's based on the speedy and efficient BlackBerry OS while also getting the benefits of a gigantic touchscreen for web browsing, reading and viewing media. What do you think, does RIM have another winner on their hands?